You probably can't make everybody happy, but you can come close. One of the hardest parts of creating a menu for your wedding is trying to make everybody happy. Satisfying over a hundred different taste buds with two or three entrée options is a difficult task. However, that doesn’t mean you shouldn’t try your best to make it a dinner people will not only enjoy, but also remember for years to come. Often with food, it’s more important not to do anything badly than it is to do something well. In that spirit, below are the mistakes you should be careful to avoid when planning your catering for the big day. - Ignoring the needs of your guests. You should be cognizant of dietary restrictions, but don’t let them take over. If you have a few attendees who are vegetarian or gluten free, you absolutely need to make sure they will have a meal – and a few hors d’oeuvres during cocktail hour as well – that they can eat. That said, you do not have to make the entire menu accommodating, nor do you have to have a vegan wedding cake because of one cousin. - Offering the wrong quantity at cocktail hour. This is a real “Goldilocks” situation: If the appetizers are too light, stomachs may be too empty to handle the signature drink. However, if the food is too heavy, guests will be too full to enjoy the dinner you picked out so carefully. - Picking out-of-season options. While it is of course more economical to choose fruits and vegetables that will be in season at the time of your wedding, it is also the tastier choice. Produce picked outside of peak season frequently is just not as good of quality as fresh fare grown during the optimal time. As much as couples want their big day to be unique, it’s not necessary to subvert expectations for every aspect of the celebration. 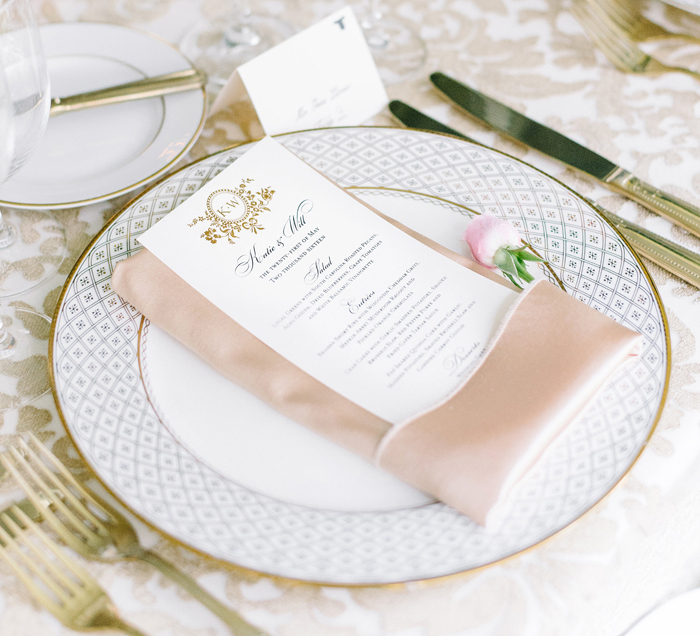 Find out what you need to ask your caterer and discover what style of dinner service is right for your big day.